Norwegian Cruise Line is launching its Alaska Bonus Days with two great offers providing exceptional savings on board the youngest fleet sailing to Alaska. From now through Friday, August 22, 2014, guests who book a Norwegian cruise vacation to Alaska can receive up to $200 to spend on board. Guests booking a 2015 cruise now through Friday, August 29, 2014, can also take advantage of Norwegian’s seven-day All-Inclusive Package*, valued at more than $2,400, for just $899 per person. Passage, Ketchikan, Juneau, Skagway, Sawyer Glacier and Hubbard Glacier, now through September 22, 2014. 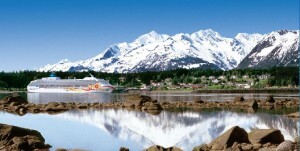 Fares from Vancouver, British Colombia start at $649* and fares from Whittier, Alaska start at $549**. Norwegian launches biggest DASH sale of the year!